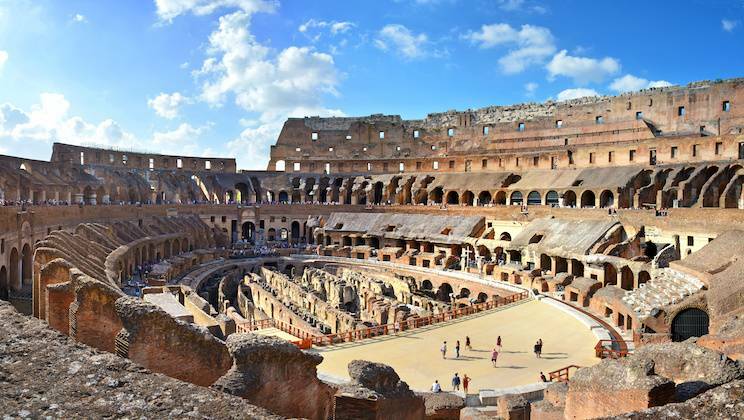 The Colosseum may have once had a capacity upwards of 70,000 but with the Rogue Historians, you are guaranteed a more intimate experience. Our Semi-Private tours are maxed out at 13 people in order to make this a more enjoyable and personal experience. Starting at the arena of death, we head straight into the Colosseum with our skip the line tickets (we do still have to wait in security lines which can be up to 20 minutes on extremely busy days, nobody skips these lines no matter what they advertise or promise). After the Colosseum, we head to the exterior of the Roman Forum (exterior only). 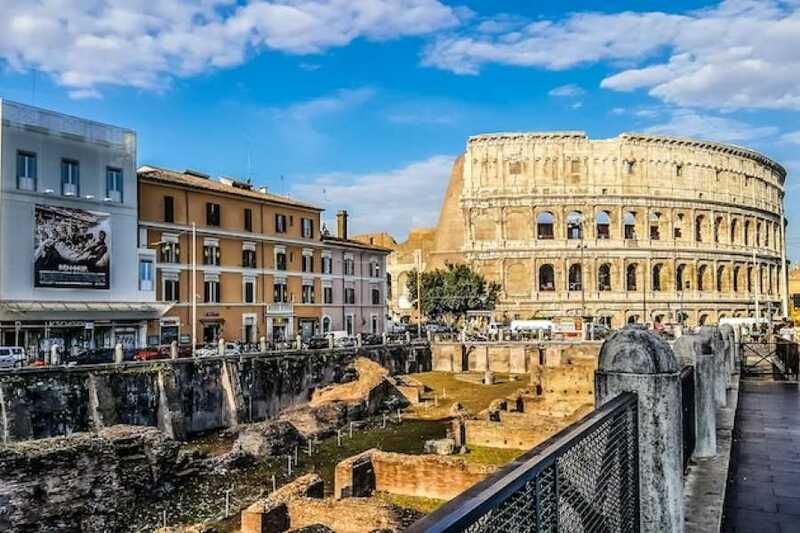 Although we don't go inside the Forum we know the best overviews allowing us to see much of the site without having to waste more time in security lines. 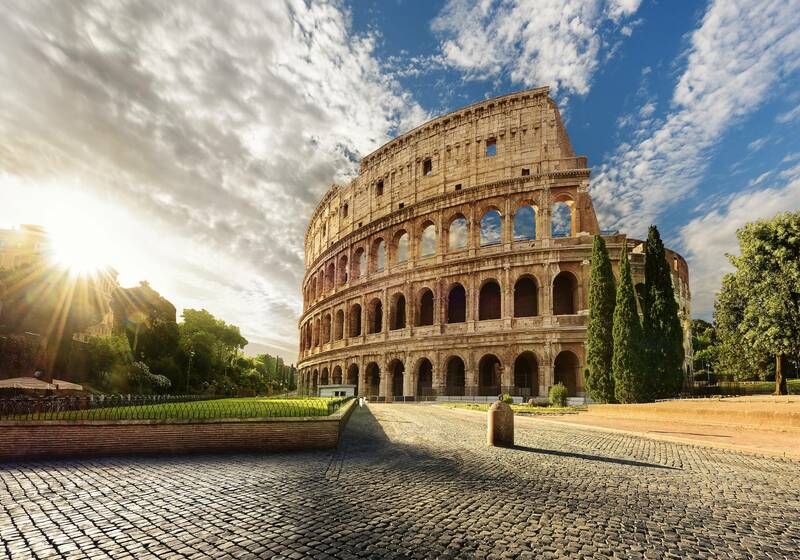 This leaves us time to explore more of Rome's wonders. We will head up to the Campidoglio, an incredible site and city hall for Rome today. The palace and the floor pattern were both designed by the great Michaelangelo (take a look in your pockets and you may recognise the pattern on your 50c coins). We finish the tour at the Jewish Ghetto, one of Rome's most significant cultural sites. A place with a deep history and the perfect place to end our tour. The arena of death! 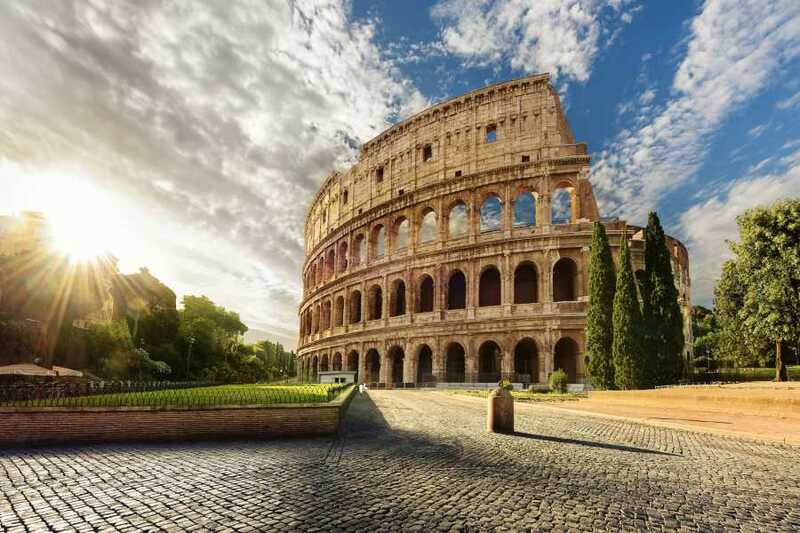 The Colosseum, a monument so vast and imposing, so awe-inspiring and iconic that it many ways it has come encapsulate the Roman Empire. Commissioned by Emperor Vespasian in 72 CE and finished during the reign of Emperor Titus in 80 CE. With a capacity of over 50,000, it would remain the biggest sporting arena in the world until the 20th Century. 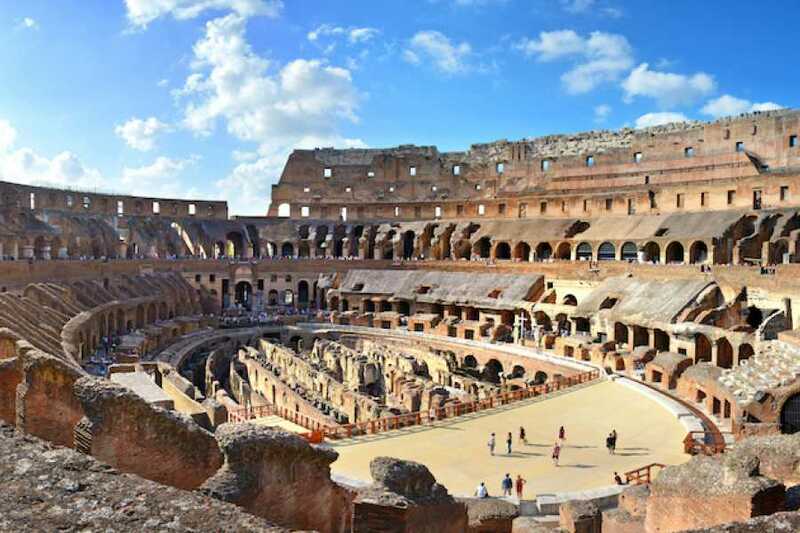 The arena was used to host spectacular public entertainment events such as gladiator fights, wild animal hunts and public executions from 80 CE to 404 CE. 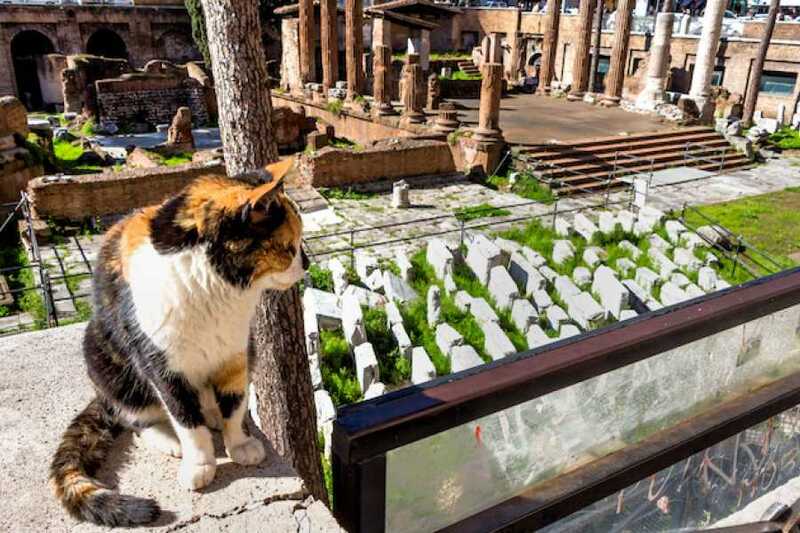 It may be over 1500 years since the last gladiator fights but this isn’t a problem for The Rogue Historians. We will take you back in time for a day at the games - blood, guts, gore and more. 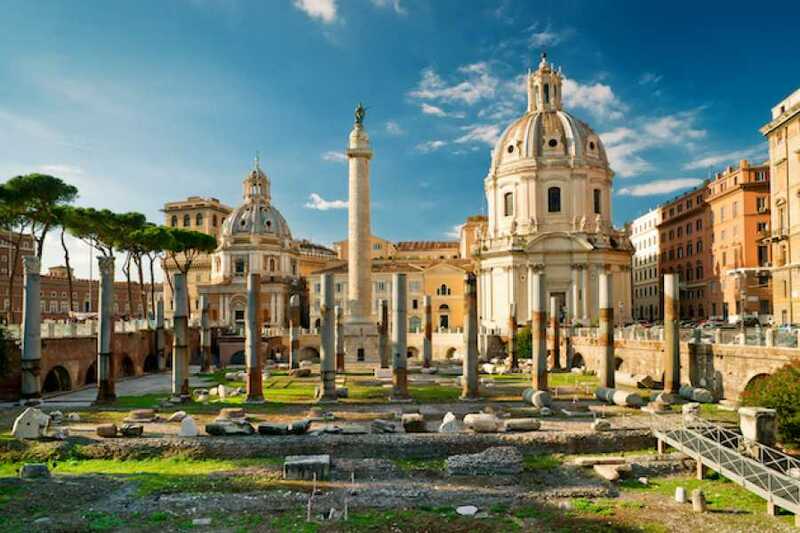 The Roman Forum or Forum Romanum of ancient Rome was the bustling religious, administrative, legal, and commercial heart of the city from the 7th century BCE onwards. 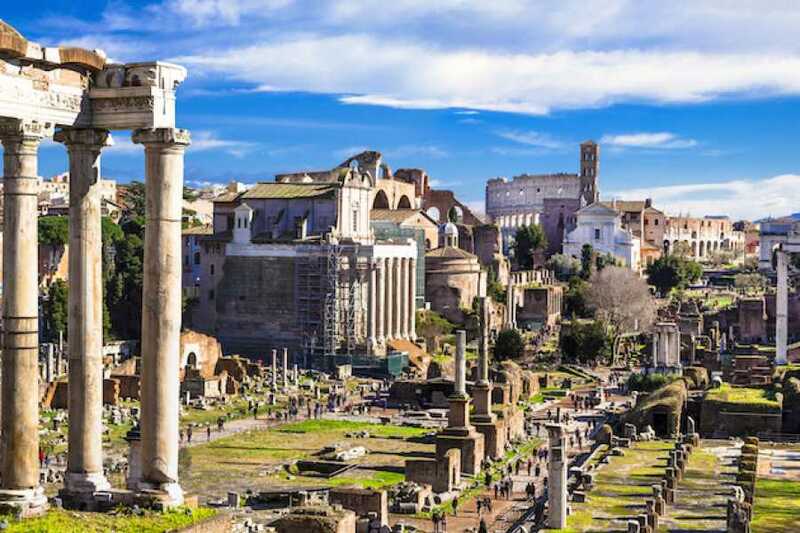 Although wracked by earthquakes, weathering, pollution, and centuries of architects robbing it of its stones and columns, the Forum Romanum, nevertheless, remains one of the most impressive sites surviving from antiquity and a unique window into the once great glorious world that was Rome. Otherwise known as the Capitoline, this hill gave us the word Capitol and was home to the Capitoline Triad, Rome's most important temples. 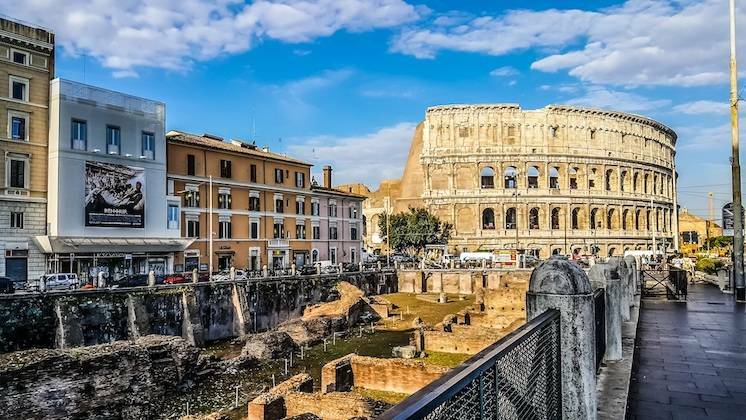 Today the site is dominated by Michaelangelos beautiful palaces, which make up the Capitoline museums (the worlds oldest public museum) and City hall. Home to the Jewish community in Rome since its walls were erected in 1555. The ghetto was a walled quarter with its gates locked at night. At the time of Sixtus V (the late 1580s), roughly 3,500 inhabitants were living in inhuman conditions. It would remain this way until the foundation of Italy with Rome as its capital in 1870. It was the last remaining Jewish Ghetto in Europe until their reestablishment under Nazi occupation during WWII. The tour duration is three hours at a medium pace, we do cover a lot of ground. The tour is not accessible for those with walking canes or wheelchairs, but please contact us and we will be glad to work out alternatives to accommodate any needs. 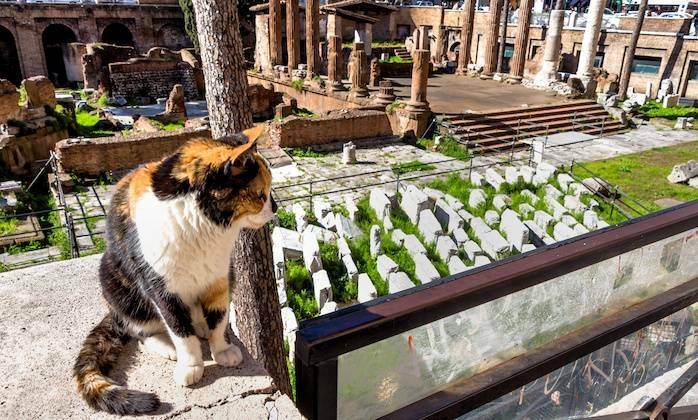 The Colosseum has strict security measures. Please leave, long umbrellas, knives, glass, large rucksacks, and SELFIE STICKS at home as they will not be permitted inside and there are no storage facilities.